Every single article I read about visiting Rome recommended purchasing your tickets for both the Vatican and the Colosseum before getting to the city. This led me to doing some research before leaving and really struggling to find more specific information about actually buying the tickets online. We focus a little more on the Vatican in its own article but this post is all about visiting the Colosseum. The classic option when visiting Rome is see the Colosseum in the daytime. 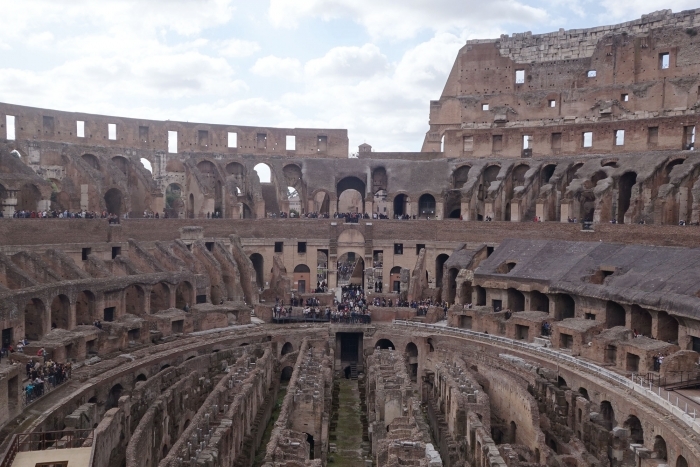 The standard ticket gives you free roaming access to the main sections of the building (not the third tier or the underground) as well as access to the Roman Forum and Palatine Hill. These tickets are valid for 2 days from your first entry to one of the sites and at the time of writing, cost 12 euros per adult and can be purchased in advance online. 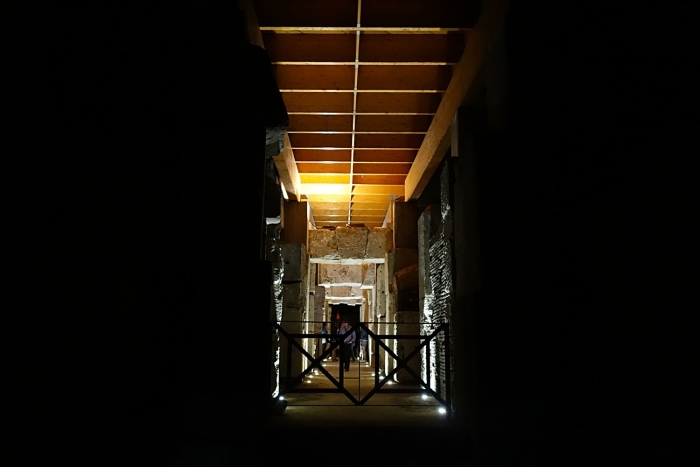 There is also free entry to these sites on the first Sunday of every month but bear in mind that the queues will be even longer on those days. 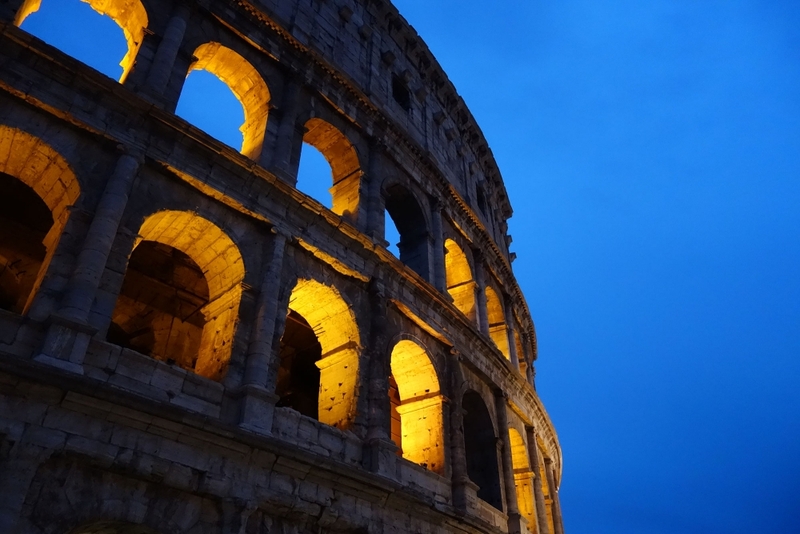 The official Colosseum website is definitely where you should buy these tickets. There are a lot of other tour company websites selling access but these can be A LOT more expensive and are less reliable than getting your ticket direct. 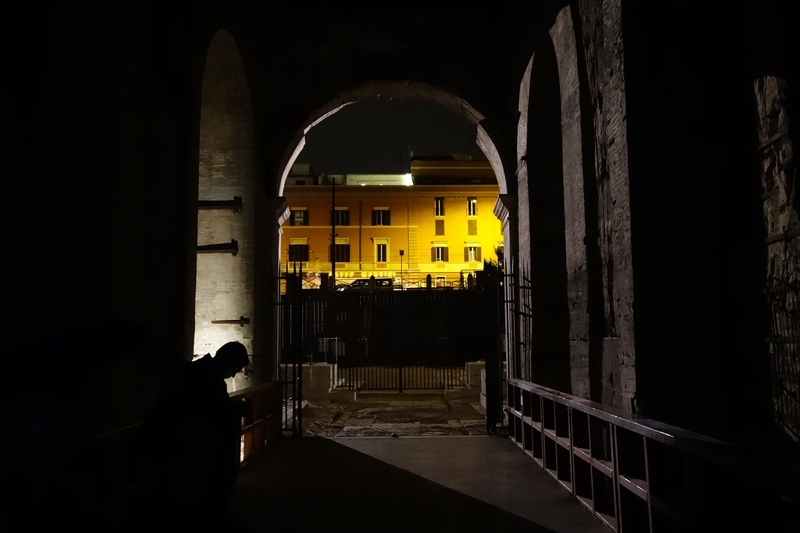 As well as deciding to see the Colosseum at night, we also visited during the day ourselves. 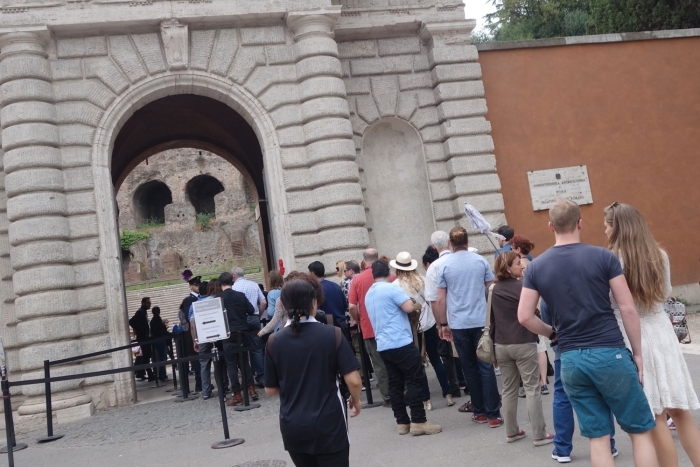 We had not booked these tickets online - instead we went to Palatine Hill as our first stop which was a lot quieter than the Colosseum and we only had to queue for around 5 minutes to get our ticket which gave us access to all three famous areas. 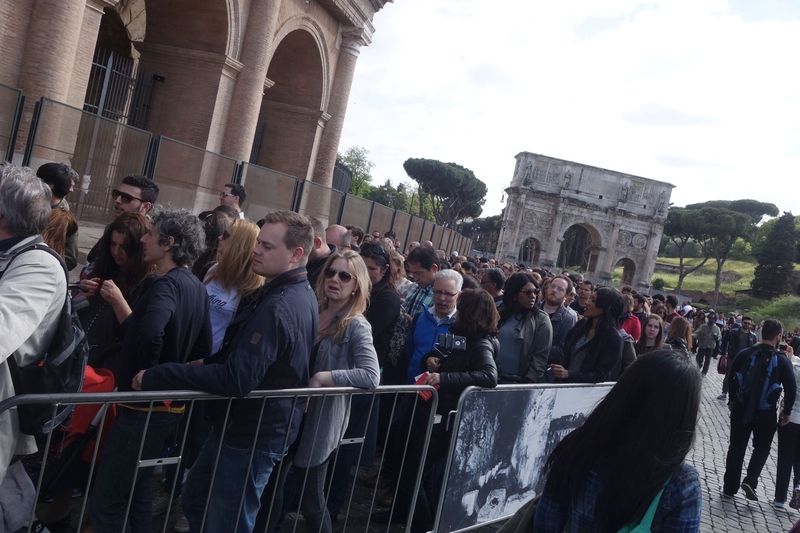 I will say that the queue to get into the Colosseum was still ridiculously long despite having a ticket already from earlier in the day. If visiting in the middle of the day, make sure you have plenty of water as it can get pretty hot and there isn't much shelter if the line is very large. The queue at the Colosseum is considerably longer! The most enjoyable part I found about the daytime visit was the ability to wander around at your own leisure and spend as much time as you wanted there. Before arriving we were disappointed that we would not be able to visit the third tier (which required a different special ticket and these were all sold out months before our visit). 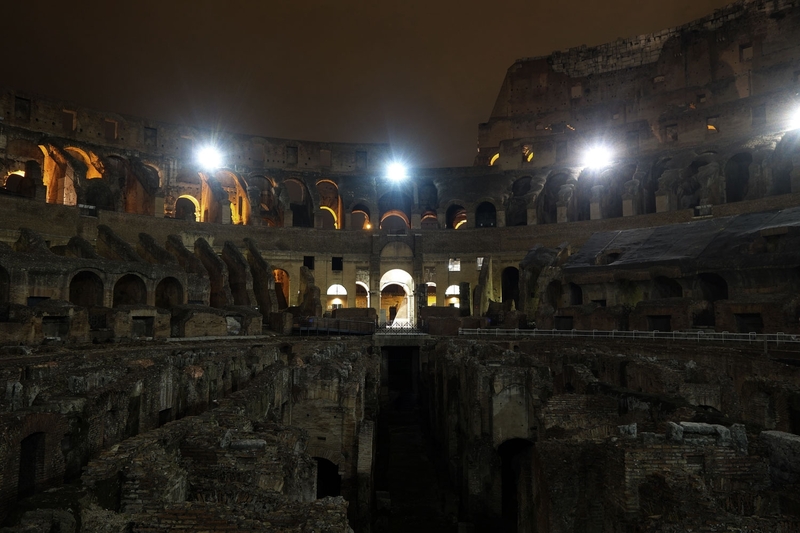 In truth however, the third tier doesn't seem to provide a much different view from the second tier and I don't know if adding it on is worth the extra money - I would definitely pick visiting the Colosseum at night instead. 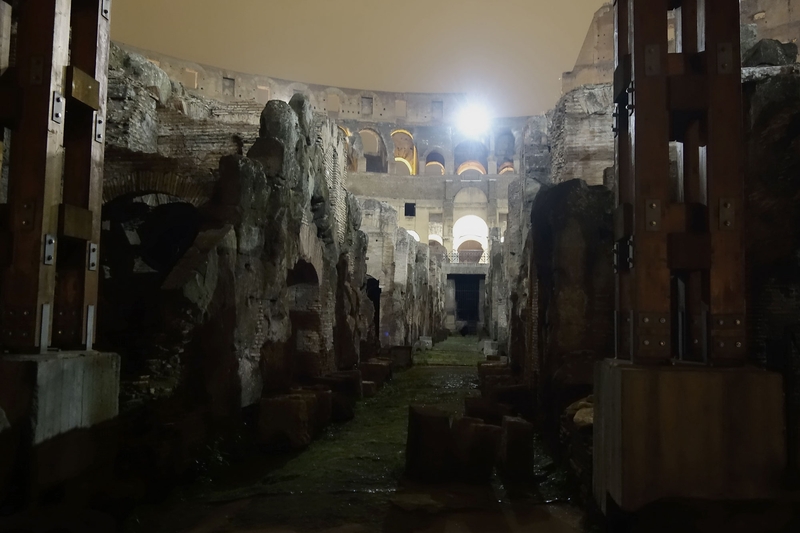 I wasn't at all aware that you could visit the Colosseum 'out of hours' until I started exploring the official Colosseum website. 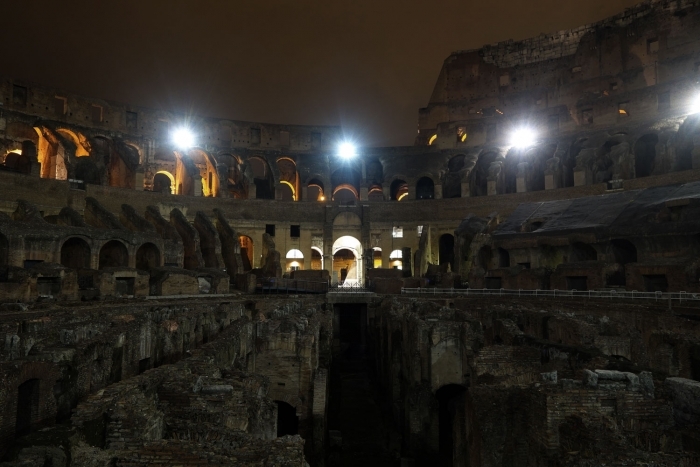 At the time of writing, from April to October the opening hours extend and you can book special tickets to get access to the Colosseum after dark. Again, there are a lot of tour companies offering tickets for this online that are ridiculously expensive and I would highly recommend avoiding these and booking on the above website - we did this and got a much better deal and it was the official tour. 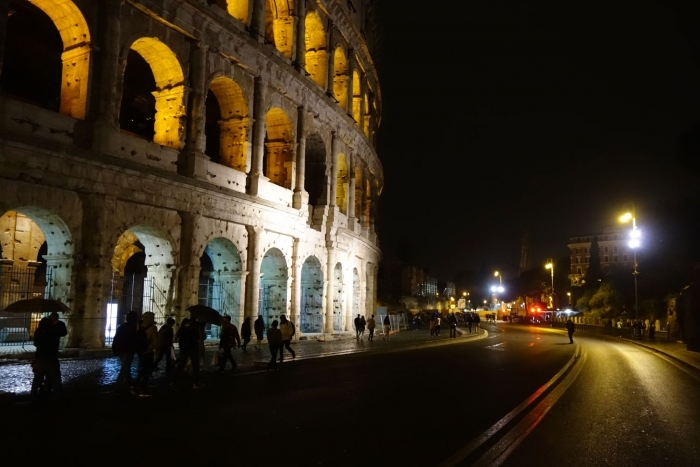 This leads me on nicely to mentioning what the 'Colosseum at night' ticket includes. 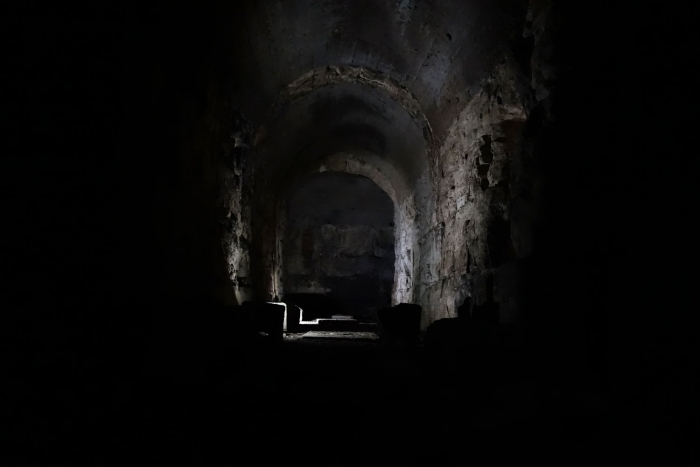 It does not give you access to the Roman Forum or Palatine Hill but it does allow you to visit the underground area of the structure which you cannot do in the daytime. 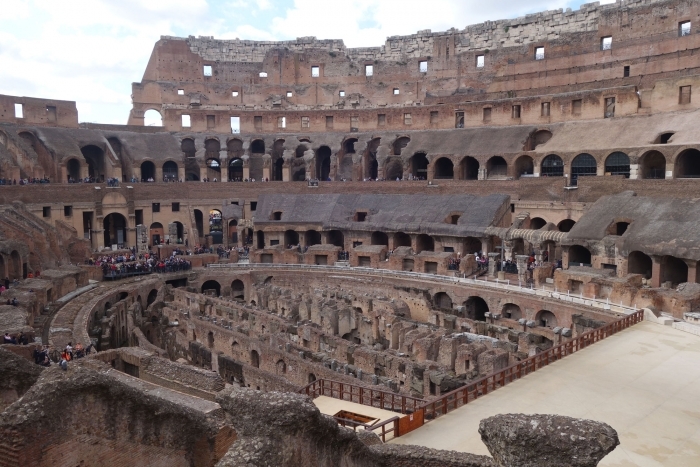 Instead of free roaming tickets - you need to book onto a specific time slot but the bonus is that a guided tour is included by a Colosseum employee. The other amazing thing about the night visit was the number of people present. 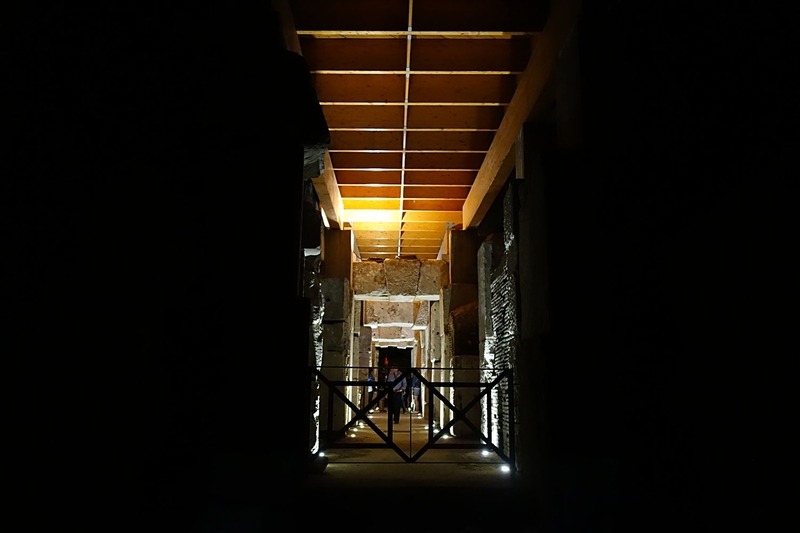 During the day there are hundreds and hundreds of people in the amphitheatre with you but at night, there are only a small number of tours happening - you are barely sharing the building with anyone at all and it really is awe-inspiring! At the time of writing the tickets were 20 euros per adult plus a small booking fee. We arrived a short time before the tour started and were told to go inside to 'check-in' at the office and pick up our ticket and a sticker to identify us as being part of the group. We then had to come back outside to wait until our guide came to get us. You could see a small group beginning to form as the tour time approached and then bang on schedule we were called together, stickers checked and we were off. I don't think there is any way to adequately describe it with words so here are a bunch of photos of the whole experience!